The management for the Air Force One program is right here in Dayton. Our friends and neighbors (and even a political candidate) work hard to maintain and keep Air Force One flying- but, here is a story about them spending $24 million dollars on some refrigerators. That’s right- refrigerators. The Boeing Company was awarded a nearly $24 million contract in December to engineer the refrigerators for Air Force One, the Defense Department said. The two units being replaced came with the aircraft in 1990 and are no longer able “to effectively support mission requirements for food storage,” the Air Force said in a statement on Saturday. Perhaps in anticipation of taxpayer sticker shock, the Air Force also said “the engineering required to design, manufacture, conduct environmental testing and obtain Federal Aviation Administration certification” were all included in the cost. The contract — for $23,657,671 — says that work on the units is expected to be completed by Oct. 30, 2019. Air Force One must be able to feed passengers and crew for weeks without resupplying, according to the news website Defense One. According to the site, that would require storing about 3,000 meals in huge refrigerators and freezers below the passenger cabin. Two galleys can provide up to 100 meals at one sitting, according to the Air Force. One Meal Ready To Eat. The simple cost effective solution is one that every grunt has had to endure- they are called “Meals Ready to Eat” and require absolutely zero refrigeration. You can pack a whole bunch in the space where the fridges are, and they have a shelf life approaching the half life of the nuclear war the president seems so intent on starting. 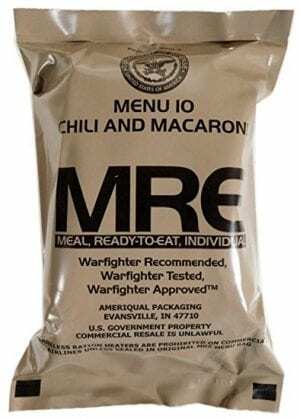 As to feeding all the straphangers with the fake news organizations- MREs are pretty close to fake food- so they are only fitting for the fake news folks. There is no excuse for spending $24 million on special refrigerators. 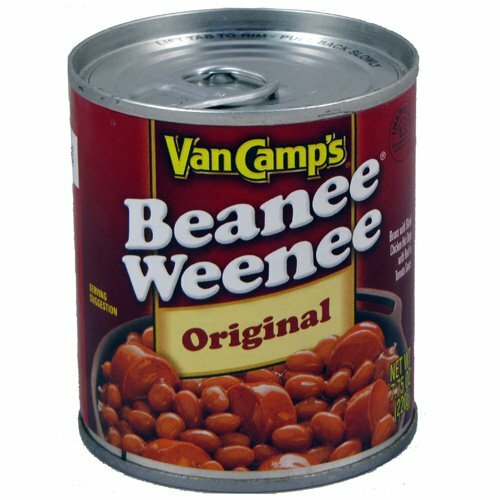 In fact, MRE’s may be too nice for these folks- PB&J and some government welfare cheese would be even more appropriate. Program managers at WPAFB- look out, soon you may hear “You’re fired” for this boondoggle expense. And Boeing, maybe we really should be buying from Airbus. Next Post: New board folds, buys out Corr. Superintendent search may be on. I’m ok with serving this, too. Probably cheaper. This is beneath you. It shows you have no concept of the cost of buying and maintaining an aircraft. You can’t put a Lowes refrigerator in the bottom floor of the airplane. It has to be flight tested and certified by the FAA. It should be curved in the back to save on space. It should be lightweight, to save on fuel. I needs to run on airplane power and be energy efficient. That’s one reason it’s taken 30 years to get a new one. You’ve probably never has an MRE. Some are fairly tasty (some are not), but they cost $7.25 each. That. times the 200 on a typical 3-day trip, times 20 trips a year, for 30 years plus inflation. That’s over $10Million for high-calorie food that plugs your bowels (being low in fiber). This particular President would rather subsist on Big Macs, but they won’t survive a week’s overseas trip, and visiting dignitaries and the press corps need to be fed as well. A couple of energy-efficient refrigerators are a good value to the American taxpayer. Greetings Miitchell- unfortunately for you, when I started in the Army I was still eating C-rations. By the time I got out- I was eating MREs. And, I only got to eat what I could carry on my back- so, thank you very much, I know plenty. As to spending all that money on refrigerators for an airplane, sure, you can justify the costs anyway you want. But, there are refrigerators that have been flight tested- and used in other aircraft galore. The only problem is this incredible spec for 30 days of food. Screw that. You get gourmet food the first day of any trip- no trip takes more than a day. After that- MREs- or PB&J. Or whatever. Now go away.